THURSDAY, May 1, 2014 (HealthDay News) -- Americans with arthritis are at higher risk for falls and fall-related injuries than those without the condition, a new study reveals. Rates of falls and fall-related injuries over the study's 12-month period were higher among middle-aged and older adults with arthritis in every state and the District of Columbia, researcher Kamil Barbour, of the U.S. Centers for Disease Control and Prevention, and colleagues found. For a single fall, the rates among adults with arthritis and those without arthritis were 15.5 percent versus 12.1 percent, respectively. For two or more falls, the rates were about 21 percent for people with arthritis compared with 9 percent of those without the condition, according to the report in the May 2 issue of the CDC's Morbidity and Mortality Weekly Report. In terms of fall-related injuries, the investigators found that about 16 percent of people with arthritis sustained injuries, versus 6.5 percent of people who were arthritis-free. Adults with arthritis were 1.3 times more likely to have one fall, 2.4 times more likely to have two or more falls, and 2.5 times more likely to suffer fall-related injuries, according to a CDC news release. The findings are based on 2012 data from a yearly state-based telephone survey on behavioral risk factors. Health care and public health providers need to boost awareness about the increased risk of falls associated with arthritis, increase the number of fall-prevention programs and assess current arthritis treatments for their effect on falls, the study authors suggested. Falls are the leading cause of injury and death among older Americans, with more than one-third suffering a fall each year, leading to medical costs of nearly $30 billion, the study authors said. Falls and fall-related injuries are also common among middle-aged adults, they noted. The single most effective methods to prevent falls involve either exercise or physical therapy to improve balance, lower-body strength and gait. This approach has been shown to lower fall risk by 14 percent to 37 percent, the study authors said. 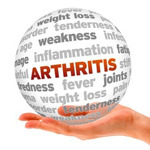 In addition, the CDC team noted that rates of arthritis are nearly 50 percent among adults 65 and older and about 30 percent among adults ages 45 to 64. These age groups account for 52 percent of U.S. adults.